Q. 1. 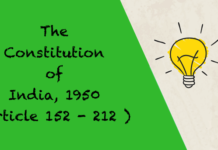 Discuss briefly the origin and development of Law of Torts in India. Q. 2. Define tort and explain its essential ingredients.Or “The law of Torts exists for the purpose of preventing men from hurting one another, whether in respect of their property, their person their reputation or anything else which is theirs.” Discuss the scope of the law of torts with the help of illustrations. Q. 3(a). 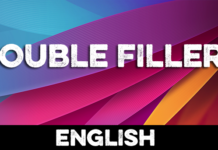 Explain the following two maxims and distinguish between them: (1) Injuria sine damno. (2) Damnum sine injuria.Or “Injury with or without damages is actionable in law of torts but damage without injury not actionable.” Explain this statement with suit-able case law. Q. 3 (b). Explain and elucidate the maxim: `ubi jus ibi remedium’. Q.4. Write.notes on the following: 1. Intention 2. Motive 3. Malice 4. Foreign Tort 5. Malfeasance, Mis-feasance and Non-feasance. Q.5. What are the conditions which must be satisfied before liability in tort can arise? Explain them. Q.6(a). What are the conditions which in general negative liability in tort ? Discuss `volenti non fit injuria’ in detail.OR What are general defences against liability in Tort? Discuss in this connection volenti _non fit injuria. Q.6 (b). 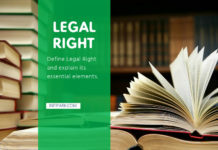 Discuss Act of State as an exception to the liability in tort. Q.6 (c). What is an Inevitable Accident? How far is it an exception to the liability in Tort? Distinguish between ‘Inevitable Accident’ and Act of God. 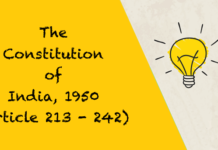 Q.6 (d) What is statutory authority ? How far is it a good defence in an action for tort ? Q.7. What do you understand by ‘Remoteness of damages’? Explain Or “Theoretically the consequences of any conduct may be endless, but no defendant is responsible ad infinitum for all the consequences of his wrongful conduct.”—Winfield. 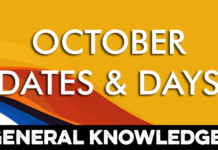 Discuss the development of law relating to remoteness of damaoes with the help of leading cases. Or What do you understand by remoteness of damage? How far remote-ness of damage is a good defence in tort? Q.9 (a)—What do you understand by the malicious prosecution. 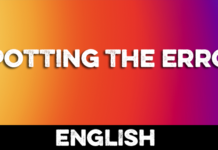 Explain fully with the help of leading case provided in your course. Or What do you understand by “Malicious Prosecution” ? What are the elements which are necessary to be proved by the plaintiff in an action for malicious prosecution ? 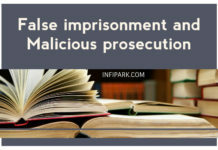 (b) Explain the distinction, if any, between malicious prosecution and false imprisonment. Q. 10. —Explain the principle of nuisance. What are the defences open in an action based on nuisance ? Or Define nuisance. Is coming to nuisance a defence for the Defendant ? Illustrate your answer. Or What is public nuisance? Can it be private also ? Distinguish be-tween public and private. nuisance. Q.11. Explain the rule relating to Joint Tortfeasors..Is the rule laid down in Merey Weather v. Nixon, applicable in India? Illustrate.Or Who are Joint Tortfeasors? Discuss the law relating to contribution between Joint Tort Feasors. Q.12(a). Define the term defamation. What are the essential ingredients of defamation? Q.12(b). Explain the different kinds of Defamation Or; Explain slander and libel. Distinguish between slander and libel. When slander is actionable per se? Q.12 (c). What are the defences available in a suit fear defamation?Or What defences are available to the defendant in an action for defama-tion? 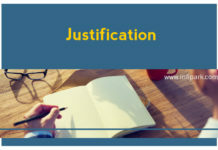 Discuss the defence of justification. Q.13 (a). 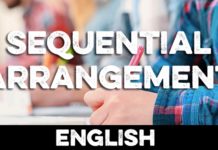 Explain:—(1) Mal-feasance, (2) Mis-feasance, (3) Nonfea-sance. Q.13 (b). What is the difference between intention and motive? Dis-cuss with case-law. Q.13 (c). Who are the persons that cannot maintain an action for tort ? Q.14 (a). Define Negligence and what are the essential elements of Negligence ? Explaine Or “The law takes no cognizance of carelessness in the abstract. It concerns itself with carelessness only where there is a duty to take care and where failure in that duty has caused damage.” Explain and refer to leading cases in this context. Or “No case of actionable negligence will arise unless there is breach of duty to take. care.” Explain the above preposition with the help of decided cases. Q.14 (b). What defences are available in an action for cases of torts based on negligence? Q.14 (c). 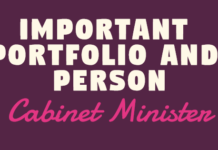 —What is meant by contributory negligence and its “Last opportunity rule”. Refer to Davis Vs. Mann case. Or Explain the doctrine of contributory negligence. How far contributory negligence is a factor in extinguishing tortious liability ? Q.16. Discuss fully the Rule of Absolute or Strict liability. Or , Explain the rule laid down in Rylands Vs. Fletcher. Are there any exceptions to this rule ? Discuss. Q.17. Explain Assault and Battery and distinguish between both of them and illustrate their define. Or Assault is an act of the defendant which causes to the plaintiff reasonable apprehension of the infliction of a battery on him by the defendant. Examine the statement with the help of illustrations. Q.18 (a). Define false imprisonment and mention the ingredients of this tort. Q.19.—What do you understand by the doctrine of vicarious liability ? Is such liability justified ? How far a master is liable for the torts commit-ted by his servant ? Or In what classes of cases and on what grounds may one person sue and be sued for a tort committed by another. Q.20(a). Is the master liable for the wrongs committed by a third per-son to whom the servant has delegated his authority ? Q.20(b). Under what circumstances a master is not liable for the torts committed by his servant ? 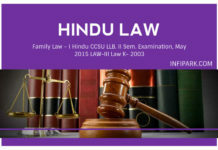 (Or) What are the exceptions to the rule of -master’s liability to third per-son? Discuss. Q.20(c). What is the master’s liability to his servant? Q.1(b). State the salient features of the Consumer Protection Act, 1986.0r How far the Consumer Protection Act. 1986 has been successful in providing better service to the consumers? Give reasons. Q.2. 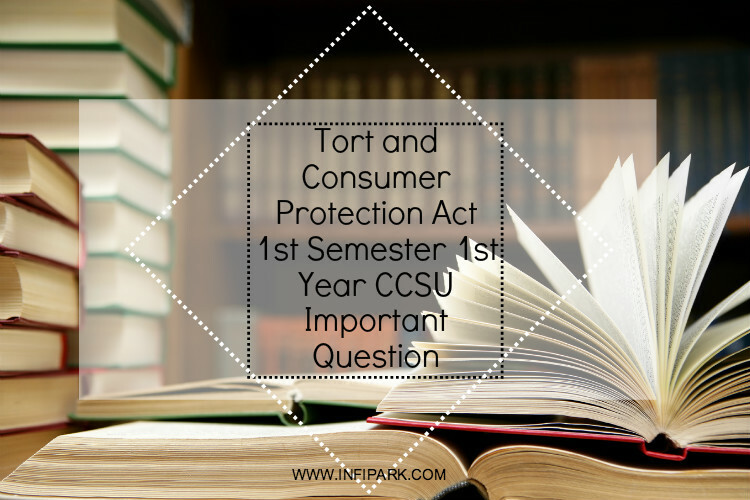 Define and discuss the meaning of the term ‘Consumer’ under the C.P.A., 1986. Mention also the relevant provisions of the Consumer Protection (Amendment) Act, 2002. Define ‘Consumer’ as stated in the Consumer Protection Act, 1986 with decided cases of Supreme Court and High Courts. Who is Consumer? Whether a person purchasing things for earning his livelihood through self employment can be said to be a Consumer or not? Q.4(a.). 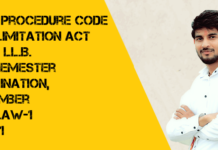 Explain the Constitution, procedure of functioning, aims and objects of Central and State Consumer Protection Councils. Q.4 (b). Describe briefly the procedure adopted by a District Forum on receipt of a complaint. Q.5 (a). Elucidate the aims, object and composition of the District Consumer Protection Council and procedure for holding the meeting of the District Council. Explain, the object and composition of the District Consumer Protection Council and Procedure for holding the meeting of the District Council. Q.5(b). 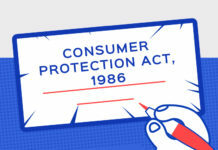 Who can file a complaint under Consumer Protection Act, 1986? Discuss- the Procedure provided there in.Or What do you mean by complainant? Who can be a complainant? 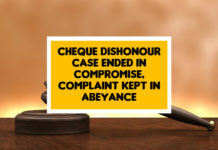 Whether a complaint can be filed by an advocate. Q.6. Write short notes on the following. Q.7(a). What kind of relief can be given by the District Forum? Discuss. What relief can be granted by the District Forum in a complaint? 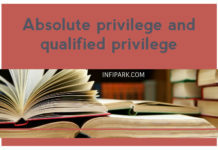 When compensation is payable ? Whether the District Forum can pass an order granting interest and costs? Q.7(b). Explain the provisions relating to appeals against the orders .of the District Forum. Can the State Commission may entertain an appeal even after the expiry of the statutory period of 30 days ? Q.8(a). What relief can be granted by the District Forum in a complaint ? Whether the District Forum pass an order granting interest and costs. When compensation is payable ? Q.8(b). Explain the Constitution and Jurisdiction of the State Commis-sion. Can State Commission transfer the cases from one District Forum to another District Forum ? Q.9(a). Can the appeal be filed against the order of National Commission ? If yes, when and where ? Q.9(b). Discuss jurisdiction of the State Commission and the procedure applicable to State Commission? Q.10 (a). Explain the jurisdiction of the National Commission and procedure applicable to the National Commission? Q.10(b). What provision is made for imposing penalties against a trader or person or complainant who fails or omits to comply with order made by Redressal Agencies ? Examine the constitutionality of the same. Q.10 (c) When the orders passed by the Consumer’s Redressal Agencies become final?